Bronchitis or inflammation of the bronchi, which carry air to the lungs, is a common condition, so people wonder, is bronchitis contagious? The answer is not cut and dry – it really depends on the type of bronchitis. Bronchitis can be categorized as chronic or acute. Acute bronchitis is caused by an upper respiratory tract infection. About 90 percent of the time, this type of infection is caused by a virus, like the common flu. It is easy to identify due to the cough and mucus that it produces. When a person with acute bronchitis coughs or sneezes, he or she is releasing millions of tiny droplets that contain the virus, so in this case, the answer to the question whether bronchitis is contagious would be yes. On the other hand, chronic bronchitis does not come from an infectious agent. It does not get passed from one person to another, therefore, it is not contagious. Chronic bronchitis is usually caused by environmental factors, such as exposure to pollution or cigarette smoke. People who work in the coal mining industry or are livestock farmers are more prone to chronic bronchitis. Conditions that compromise a person’s immune system can increase the risk of chronic bronchitis and so can multiple bouts of severe heartburn. Bronchitis infections can be caused by various types of virus. In terms of bacterial bronchitis, there are hundreds of different types, so when people wonder how long bronchitis is contagious, it is difficult to say for certain. All we can say it that it is usually anywhere between a few days to a full week, depending on the type. As a safety measure, many doctors will tell their patients to assume that they are contagious as long as they cough or have cold-like symptoms. 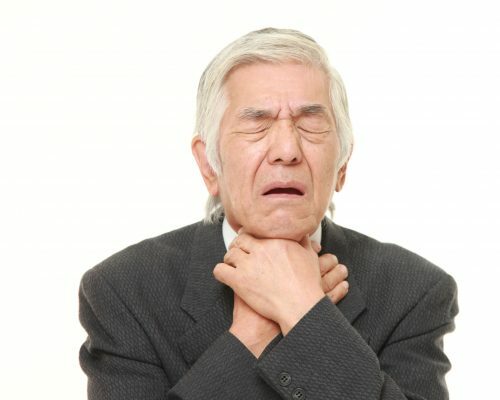 Sometimes, it can be difficult to tell if you have a regular common cold or bronchitis, but generally if you continue to cough for a week or more, even after your other cold symptoms are gone, you could potentially have bronchitis. Acute bronchitis is a minor illness in comparison to chronic bronchitis. It normally gets better with rest, but chronic bronchitis can cause cough and mucus for up to three months or longer. It can be an indication of other health problems and potentially lead to permanent lung damage. Chronic bronchitis requires attention from a specialist. Chronic bronchitis is not contagious when it develops due to irritation from environmental substances. It is important to understand that chronic bronchitis can turn into acute bronchitis due to a bacterial or viral infection. If this happens, then the person becomes contagious. Since acute bronchitis is a result of either viral or bacterial infections, it is incredibly contagious. Acute bronchitis can be transmitted through coughing, sneezing, or kissing. Some cases of bronchitis simply take their course and go away on their own. However, there are situations when antibiotics are required to fight the infection. A doctor might suggest antibiotics if they suspect a secondary bacterial infection. Healthcare providers are often asked how long bronchitis is contagious after taking antibiotics. Well, taking antibiotics for about seven days is normally enough to attack the bacterial infection. Once the symptoms start to disappear and the mucus turns from yellow or green to white after taking the antibiotics, a person is likely no longer contagious. Related: How long is Pneumonia contagious? Many people wonder, is bronchitis contagious to infants and young children? It is, in fact, common among the young. When you think about it, you can see how this can happen. After all, children are not careful when it comes to touching something and then putting their hands in their mouths or when it comes to covering their mouths when they cough. The spreading of those tiny virus droplets is widespread among kids. The other factor at play is that the very young have weaker immune systems, making them more prone to illness. The good news is… as they grow up, their immune system becomes much stronger and much more capable of fighting off infections. Bronchitis treatment depends on the type of bronchitis and the severity of an individual’s condition. Many doctors prescribe medications as a last resort since many strains of bronchitis simply require rest and plenty of fluids. Here are some of the treatment options available to those suffering from chronic and acute bronchitis. Since acute bronchitis is contagious, there are steps you can take to try to prevent it. For example, if you know someone else is suffering from it, try to avoid contact with that person during their illness. Below are a few other suggestions. Consider vaccinations against common virus strains. Wash hands frequently and use hand sanitizer. Keep hands and fingers away from the mouth, nose, and eyes. If you have a cough, remember to cover your mouth. When should someone call a doctor for bronchitis? Bronchitis can be terribly uncomfortable and it can be serious. If you’ve been coughing for more than three weeks, it could be a sign of bronchitis, asthma, or some other problem that needs medical attention. If you are really uncomfortable coughing all the time, having difficulty sleeping, experiencing a fever over 100.4 F, or feeling like you can’t breathe, you should see a doctor. You should also seek medical assistance if there is blood in the mucus you cough up. If bronchitis is persistent and left untreated, it can lead to pneumonia. The young and old are at a higher risk of getting pneumonia as a result of bronchitis because they have weakened immune systems. Those whose bronchitis turns into pneumonia are in a position where the bacteria multiply and the immune system just can’t fight them off without help, so the condition gets worse and worse. Repeated bouts of bronchitis can be a sign that a person is developing chronic obstructive pulmonary disorder, or COPD. Sadly, COPD can be fatal. Although bronchitis can be serious, in most cases, early care makes a difference. Close to 10 million Americans are diagnosed with some form of bronchitis each year. In the majority of cases, a full recovery is the outcome.